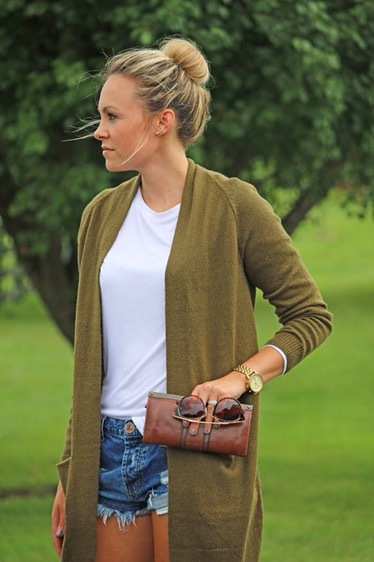 As ready as I am for fall (I’m really just ready for the booties, layers, seasonal coffees and tailgating…. Ok, so basically everything fall has to offer) I am not ready to stop wearing these shorts [similar] that I’ve pretty much lived in all summer! And hey, guess what, I don’t have to give them up just yet and I’ve found the perfect way to wear them and still transition them into the upcoming season! 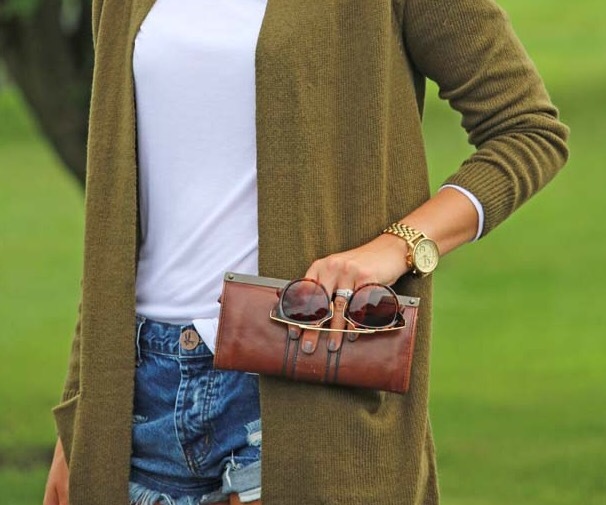 It’s a win, win situation, and this look is so simple and easy to re-create, but this sweater is a must have, just sayin’!! I’ve been somewhat obsessed with the color olive here lately; everything I’ve been shopping for has somehow ended up being olive- crazy because usually I’m a black, white and gray kinda gal. That’s why I knew I had to have this sweater, the length and the color! I’m wearing this top under the sweater, which I also love and can wear alone or paired up with a jacket/sweater/button-up. Hope you guys have an amazing Thursday and as always thank you so, so much for stopping by!